This not-so-little series just scored a big-name star. 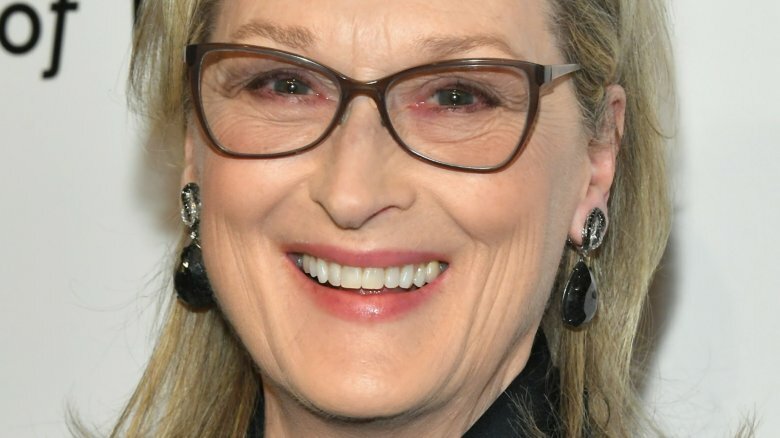 Meryl Streep has joined the season two cast of Big Little Lies, the Emmy-winning HBO series that made a huge splash in 2017. Deadline confirmed the exciting casting announcement, detailing that Streep is attached to play Mary Louise Wright, the mother of Alexander Skarsgård's character Perry Wright, who (spoiler alert) met a grisly fate at the end of the first season. Understandably hungry for answers to her son's death and concerned the well-being of her two grandchildren Josh and Max (Nicholas and Cameron Crovetti), Mary Louise heads to sunny but sinister Monterey, California to investigate. Streep's involvement marks the first new cast addition since Big Little Lies season two got the official greenlight (with a fairly attractive seven-episode order) a few months back. The Oscar-winning actress joins an equally decorated roster, featuring Reese Witherspoon as Madeline Martha Mackenzie, Nicole Kidman as Celeste Wright, Shailene Woodley as Jane Chapman, Adam Scott as Madeline's husband Ed Mackenzie, James Tupper as Madeline's ex-husband Nathan Carlson, Zoë Kravitz as Nathan's second wife Bonnie Carlson, Laura Dern as Renata Klein, and Jeffrey Nordling as Renata's husband Gordon Klein. Iain Armitage as Jane's son Ziggy Chapman and Kathryn Newton as Madeline's elder daughter Abigail Carlson also star. The ink is still drying on deals for most of the original season one cast to hop aboard season two, namely Woodley and Dern. American Honey director Andrea Arnold is attached to take the reins and helm all seven upcoming episodes, replacing Jean-Marc Vallée, who directed the first season. Vallée will serve as executive producer alongside Kidman and Witherspoon. Scribe David E. Kelley returns to pen the seven new scripts, which are partly based on a story from Big Little Lies novel author Liane Moriarty. Originally billed as a mini-series, Big Little Lies will continue to explore "the tale of three mothers whose seemingly perfect lives unravel to the point of murder." According to HBO executives (via THR), the second season is set to dive into the "malignancy of lies, the durability of friendships, the fragility of marriage and, of course, the vicious ferocity of sound parenting. Relationships will fray, loyalties will erode … [and] the potential for emotional and bodily injury shall loom." A release date for Big Little Lies season two hasn't yet been announced, but with Streep now on board, we suspect it's coming sooner rather than later.